What does a Professional Battlefield Guide Really Do? I have published this article on my Linked-In profile as well. Any good battlefield guide, especially in KZN, will know that guiding clients around any battlefield in the province is one of the most intellectually stimulating pastimes in the country. This small group of men and women are among the best in the world at what they do, and I believe the following will explain why. The list is by no means exhaustive. 1.1. Any professional battlefield guide will have the most basic books about the industry in his or her library. In KZN, this will include Donald Morris’s 1994 Pimlico Edition of his iconic work, The Washing of the Spears. He established a benchmark from which several writers launched their own work. Several British writers like Ian Knight, have also contributed to this genre, and it would be advantageous to get as many as you can afford. It is necessary to buy every single book you can find, as many of them are not useful for guiding purposes. 1.2. Maps and other sources, like historic documents and diaries, would not be amiss either, but not everybody would have access to it. 2.1. I am of the opinion that it is imperative that you stamp your own, individual approach to the science of battlefield guiding. Do not copy other guides, but take what is good, from their work, and add your own personal touch to it. A professional guide should endeavor to know as much as possible about the battle, the events leading up to it, the way the battle was conducted, the aftermath, and a sensible analysis of the events. See paragraph 7. for a checklist for analysis. 2.2. If you employ audio-visual aids on the battlefield, like maps or pictures, be organised. There is nothing worse than a guide who scrambles in his or her car or bags for maps or pictures and cannot find it. 2.3. I use chairs as little as possible, as I like to walk my battlefields, but your clients might dictate otherwise. Ask them if they want/need chairs. An umbrella or two has always been most welcome in the glaring sun. Many foreign visitors badly underestimate the African sun. 2.4. A professional guide will always be one step ahead. Do not offer something you do not have, like a name of a bird you have no clue about, or some vague name of an ancestor that may or may not have taken part in a battle. Nobody knows everything, and to presume to do, is arrogant and unprofessional. 3.1. Some clients would be less averse to a dry, academic lecture than others, and a good, professional guide could ascertain this with some leading questions on the way to the battlefield. It is always good to develop a multi-cultural approach to this subject. 3.2. What is the most common profile of a battlefield visitor, especially in KZN? To my mind, they are mostly UK visitors, with a breakdown of American, Continental European, Australian or local visitors. A professional guide will draw his or her visitors into the tale and place them in the middle of the event as it happened. 3.3. A professional guide looks after his clients all the time, and let their body language guide him, up to a point. Knowing the story on a battlefield is not even half the job. If your clients are uncomfortable for any reason, they are not going to listen, never mind what you say. 3.4. Clients who are feeling ill, are hungry, cold or too warm, are not appreciative clients. Neither are clients who are lost. I have seen guides leave their clients on Isandlwana Mountain at Captain Younghusband’s cairn, walk away from them, across the shoulder of the mountain to Captain Shepstone’s grave, and then let foreign clients find their own way to him. The question that arises here, and in similar situations, is what if one of them had been bitten by a snake, which is not inconceivable, or had taken a stumble and broken something, all because they were unaided? 3.5. Some clients may only want a rattling good yarn. They are not really concerned about all the facts of the battle on the day. I change my presentation on the fly here, but will take care not to drop standards I have set. 3.6. Take out as many as tactical detail as safely possible, e.g. names of company commanders, maybe unit names, but remain with the more salient figures and events. Keep personal comments to a minimum, but preferably none at all. If clients are not susceptible to comments like that, one wrong word can blow a tour out of the water. 3.7. A professional battlefield guide will never add something extra just to spice up the story for clients who are not informed about the history. The term “why spoil a good story with the facts,” is an aberration which makes my blood boil on the spot. 4.1. If you do not know, then do not guess. This is imperative. If you have research sources on hand that may help you, there is NOTHING wrong with looking it up, and presenting the real answer. 4.3. Much of the information available, especially on the iconic battles of Rorke’s Drift and Isandlwana in general, but Isandlwana in particular, is based on conjecture, speculation and analysis of military protocol in place at the time. It is important that clients know this. You may just have a Mike Snook or Richard Holmes in your group, and if they blow you out of the water, nothing you can say, will rescue you from that point on. 5.1. 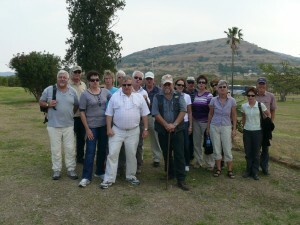 Some of the older, more experienced tour guides will have clients that know them from a previous experience. A new client is not a friend. Any undue familiarity will not work. Playing games with clients on a battlefield is not funny, especially if you make yourself look stupid. 5.2. A professional battlefield tour guide will endeavour to avoid political discussions. It can be very difficult not to get drawn in, especially if clients make outlandish assumptions and offensive remarks. 5.3. The Anglo – Boer War concentration camps are an old favourite. The moods/opinions of the client/s will guide you here. Terminate it as soon as possible. Change the subject to something less volatile. 5.4. Show respect. A professional battlefield guide will never tell clients that he or she does, or does not agree with, or like what happened on the day, or something similar. This is not a contest, and as much as we would like to re-organise history, it is not possible. 5.5. A professional guide will be presentable. You need not be overdressed, but be neat, at least. 5.6. Do not talk too fast. You may have an encyclopedic knowledge of the battle, but many clients don’t, and especially UK clients may have problems following your accent. Make sure you understand what they are saying or asking and that you understand what they want. Do not swear, even if the clients do. 5.7. A professional battlefield guide will never embarrass another guide in front of his or her own clients, is never rude to any clients, will never enter into a discussion with clients about another battlefield guide , and will not willfully intrude or interfere with another guide on any battlefield. 6.1. A professional guide will ensure that all clients are fit for the day’s undertaking. Check on sun protection, especially during summer, appropriate (closed) shoes, and medication, if required. Take care that asthmatics have their medications on them, and that any heart problems are declared, as it can, and will lead to problems out there. 6.2. I have had problems on occasion when I took a client, against my better judgement, on the Fugitives’ Trail. The man had a heart attack that night in my house. Smoking, overweight clients who are in no condition to walk that trail in summer must be avoided. Not all battlefields are so strenuous, but fatalities have been recorded in the heat of summer with regard to the Battle of Isandlwana and the Fugitives’ Trail. 7.1. The tale of many of the battles of the Anglo-Zulu War of 1879 were first retold by survivors of these confrontations. We are faced today with a myriad of secondary sources that retell these tales merely as a bloody romance. Many of these accounts are coloured with the personal views of the narrator of the author, and leave little for the serious student of military history. The importance of selecting the primary target of the current campaign. The importance of maintaining this objective is paramount here. The offensive is always the sought – after objective of officers on a tactical level. It maintains morale, and only it can lead to victory. It is the opposite of defensive, which disperses resources, surrenders the iniative to the enemy, and is only acceptable as the prelude to a counter-attack. This has much to do with keeping up a guard while delivering the blow. This deals with the importance of protecting one’s lines of communication while destroying that of the enemy. Physical or psychological. Ensures moral superiority over the enemy. Bringing the overwhelming mass of troops to bear on the most decisive point of the enemy’s position. The ability to judge the upper limit of resources required to gain the knockout blow. Important elements in attacking with surprise. Decisive concentration. No more effort than what is required. No excessive complexity of plan.Guard against overtaxing training, capacity and command structure of men in the field. Inherent risk of breakdown. Ensuring effortless co-operation between all units of force. No troops will carry out the best of plans without good morale. Thanks for looking over this article. If you found it interesting I would appreciate you taking the time to leave a comment below or follow me on Facebook. I always have information on Battlefields in my local area. 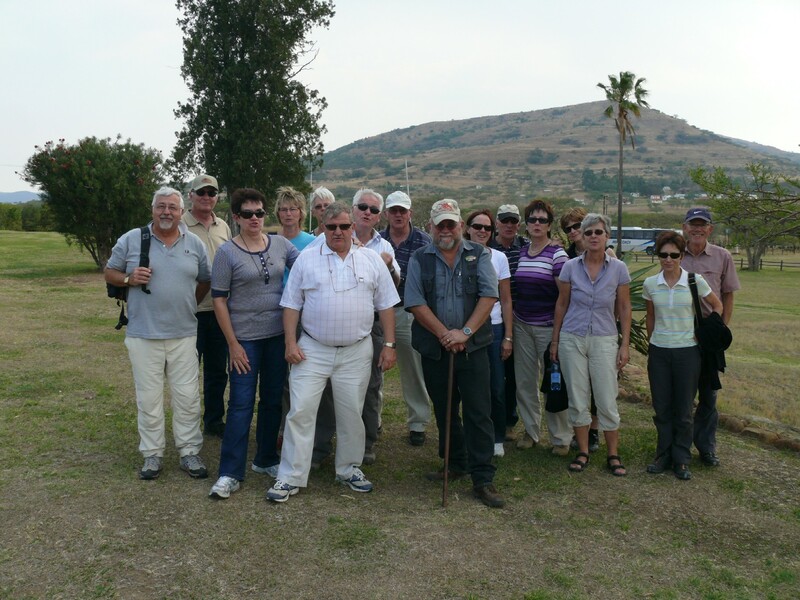 This entry was posted in Battlefield Tours, Travel and tagged battlefield guide, KZN, Rorke's Drift, South Africa. Bookmark the permalink.